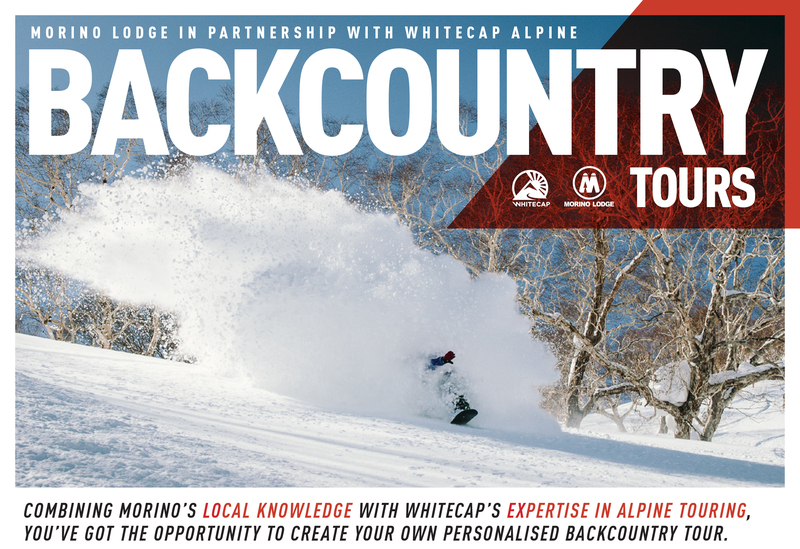 Morino Lodge has partnered with one of Canada’s premier backcountry skiing operators; Whitecap Alpine to provide a Backcountry experience that`s nothing short of exceptional. Whether you’re new to the backcountry or a seasoned pro, our World-Class Guides will work with you to create a personalized backcountry tour and a safe, unforgettable experience. combining morino’s local knowledge with whitecap’s expertise in alpine touring, you’ve got the opportunity to create your own personalised backcountry tour,with a top class, ACMG Certified Mountain Guide. – Breakfast & briefing at Morino Lodge. – Backcountry pack with beacon, shovel and probe. We strive to match ability and fitness levels so that you can all make the most of your day in the backcountry. ¥18,500 per/person. Max 6 per group. You will have the guide to yourselves all day, to work at your own pace and discuss which terrain would best suit you. (Price is determined by the amount of ppl). You’ll need a good overall fitness level, and be willing to put in a bit of work to earn your turns. You should be an intermediate skier/rider with some off-piste experience, and/or more rugged ski resort terrain. Introductory level options are certainly welcome, however the group’s overall ability will dictate the day. Hakuba Open for the 17/18 season!